This 5 day workshop will consist of 3 days of talks with 2 days left open for discussion/excursion. Planned excursion(s) are weather dependent and may include a boat trip. Intended arrival and departure dates to/from Paihia are Sunday Jan 3 and Saturday Jan 9 respectively. 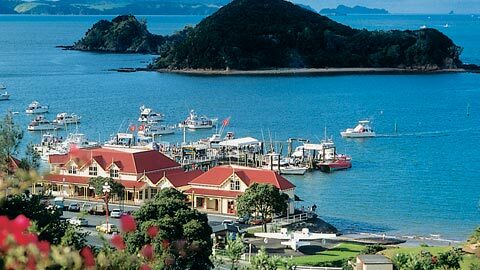 Accommodation and all lectures will be in the Scenic Hotel Paihia. Catering (welcome coffee, morning tea, lunch, and dinner) will be provided on each day of seminars. Speakers will have access to both a data-projector and whiteboard(s). (1) Fly to Auckland and take a bus (or drive) to Paihia. I expect to charter a mini-bus for the return journey from Auckland to Paihia around midday on Jan 3 and on the morning of Jan 9. For those of you whose flight schedule might not match this chartered bus, there are a number of standard bus options here Note that I expect most of these buses will leave from the city centre - NOT from the airport, in which case you have to first make your way to the city centre by taxi (expensive) or bus. (2) Fly to Kerikeri and then take a bus to Paihia. Wireless internet will be available at the conference location.